112 Pictures in 2012 - "#99. Gift"
… or that he used my credit card to do it! Our Daily Challenge - April 21, 2012 - "Recipe"
… a recipe for disaster! Daily Dog Challenge 173. What a Character - If your dog were any kind of character, what/who would s/he be? Go natural, or costumes and props. Show us what endears your dog to you. Zachary is an intellectual and a born mentor. He seems to feel responsible for Henry, and wants him to grow up to be "proper dog". 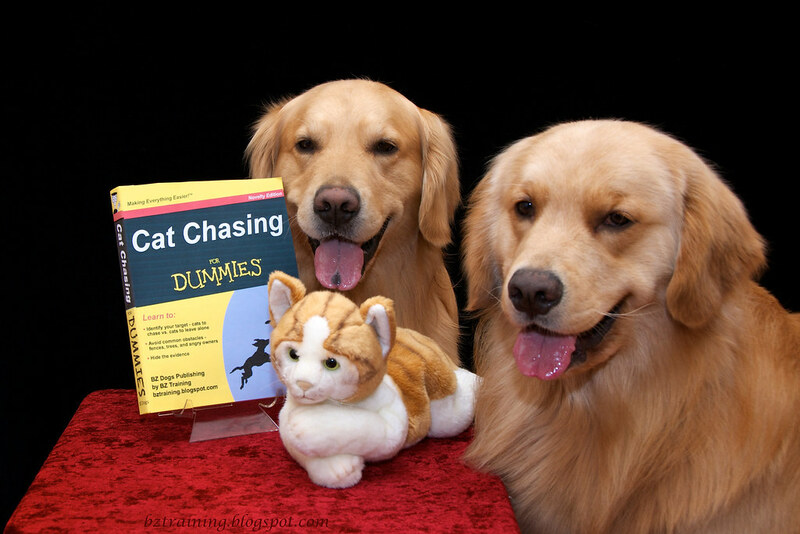 Apparently, this includes Cat Chasing, and what better place to learn the basics than in a "For Dummies" book? As for Henry, while he certainly listens to his elders, how much actually sinks in is hard to say. Editor's Note: Believe it or not, there actually is a web site that let's you easily create your own "For Dummies" cover image, and even upload your own picture to go with it - although I had to create the "spine" myself. 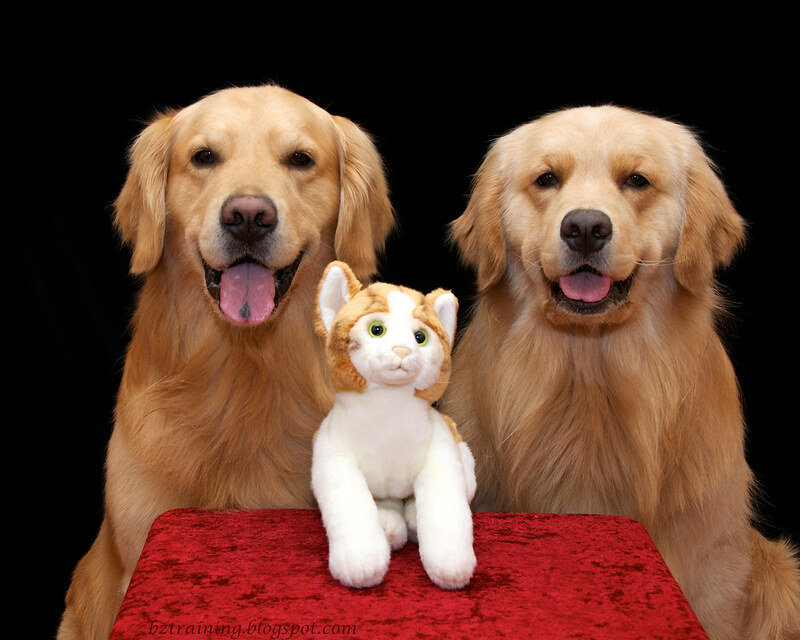 Goldens that chase kitties?..say it isn't so...our boy Tucker loves his brother!..the cat! !...no chasing here..the cat is the boss! I am STILL laughing about these shots! This is a stroke of creative brilliance, and thanks for sharing the website. I can think of all sorts of possibilities for that. I personally think this is one of your best ideas! 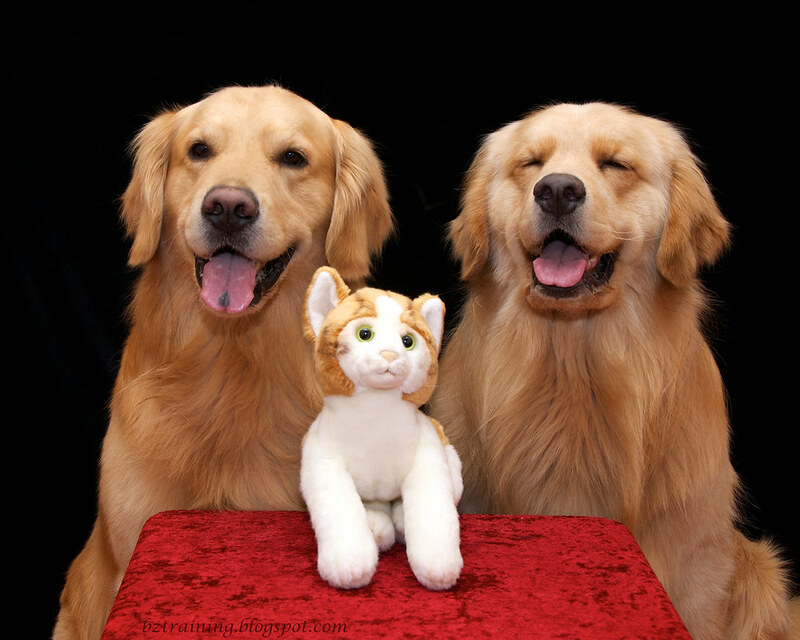 What sweet, happy faces! This must be a favorite subject.